It’s official: Act 451 designates the Arkansas Delta portion of U.S. Highway 65 to be the Delta Rhythm & Bayous Highway; the new designation begins with the fiscal year starting in July 2017. The Delta Rhythm & Bayous Alliance sought this designation as part of a broader plan for tourism-based economic development in the region. State Representative Vivian Flowers, lead sponsor, filed HR 1054, entitled To Designate a Portion of Highway 65 as the “Delta Rhythm & Bayous Highway”, on December 21, 2016. Co-sponsors in the House of Representatives were LeAnne Burch of Monticello, Kenneth Ferguson of Pine Bluff, Mike Holcomb of the Pine Bluff area, Mark McElroy of Tillar, and Chris Richey of West Helena. The lead sponsor in the Senate was Eddie Cheatham of Crossett; co-sponsors were Senators Stephanie Flowers of Pine Bluff and Trent Garner of El Dorado. After sailing through appropriate readings and then overwhelmingly passing the Arkansas House in February and the Senate in March, the bill became state law — Act 451 — on March 14, 2017. 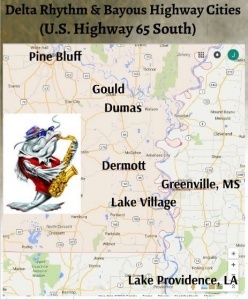 The Delta Rhythm & Bayous Alliance draws on the region’s profound history of art, music, film, and television contributions from areas along U.S. Highway 65 South — which runs parallel to the world’s longest bayou, Bayou Bartholomew. These artists and their contributions, all significant in their respective genres, deserve far more recognition they have received thus far — “hidden treasures” that Mr. Jimmy Cunningham, Jr., CEO of Delta Rhythm ‘n’ Bayous Alliance, plans to unveil and make known to all. The Delta Rhythm & Bayous Alliance was incorporated as a nonprofit in February, 2016. According to Mr. Cunningham, the alliance began planning ways for major towns and cities along this corridor to highlight these important music and bayou distinctions. Effectively, this creates a much needed regional brand for the Southeast Arkansas Delta. With the proper marketing and relevant interpretative venues, this could lead to major boosts in tourism revenue. The region targeted by the alliance also includes part of western Mississippi and northeastern Louisiana. Pine Bluff, Arkansas, and Greenville, Mississippi, are the two anchor cities. The Delta Rhythm & Bayous Alliance (sometimes written as the Delta Rhythm ‘n’ Bayous Alliance) can be contacted through their Facebook page: https://www.facebook.com/deltarhythmnbayousalliance/. 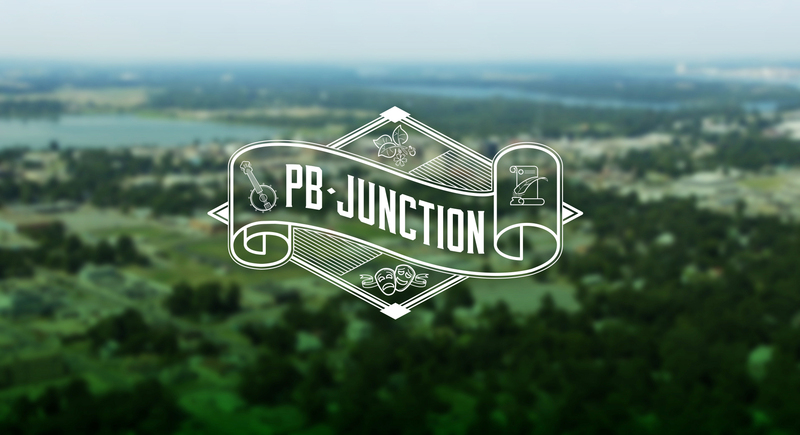 For more information, link to PB Junction articles that cover the background and other details of the Delta Rhythm & Bayous Alliance. Update added on October 11, 2018: For more recent news on the Delta Rhythm & Bayous Alliance, see Tribute to Blues Legend Bobby Rush, Delta Rhythm & Bayous Alliance: Mid-2018 Updates, Delta Rhythm & Bayous: Pine Bluff Heritage Tourism in a Nutshell. Note: The Delta Rhythm & Bayous Alliance has, at points, been spelled out as Delta Rhythm and Bayous Alliance, Delta Rhythm ‘n’ Bayous Alliance, Delta Rhythm & Bayous Alliance, DRBA, and DRB Alliance.